must admit, this is one of my favorite horror films of all time. The unique way that John Carpenter has directed this picture, opening the door to so many mock-genres, it will chill you to the bone whether it is your first time watching it or your fiftieth. The sound, the menacing horror of Michael Meyers and the infamous scream of Jamie Lee Curtis gives this film instant cult status and a great start for the independent era. I love the music, I love the characters, the familiar yet spooky setting, the simplistic nature of the villain, and the random chaos of it all. There is no really rhyme or reason to the killing in this first film, giving us a taste of Michael’s true nature. Is he insane, or in some way just a very brilliant beast? That question may never be truly answered, but Carpenter gives us his 100% and more devotion to this amazing masterpiece. John Carpenter is the master of horror. 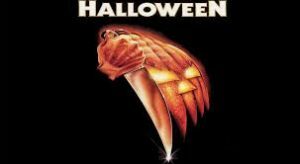 While lately his films have not been the caliber that they once were (see Ghosts of Mars), Halloween began his powerhouse of a career. This is his ultimate film. While he did release other greats, I will always remember this one as the film that caused me to turn on all the lights, beware when babysitting, and check behind closed doors, because you never knew where the evil would appear next. Carpenter has this amazing ability to bring you into the world in which he weaves. With the power of his camera, he places these images of Meyers in places you least expected while giving you the perception as if the murderer is right next to you. I loved every scene in which we panned back and there was Michael, watching from the distance, without anyone the wiser. That was scary, yet utterly brilliant. I loved the scenes in which Carpenter pulled your fright from nearly thin air. There you would be, minding your own business, when suddenly that horrid mask would appear out of nowhere. Like the characters, you too thought it was just a trick of the eye, but that is where Carpenter gets you, it isn’t. Michael isn’t a ghost, he is a human being (or at least we think), yet he has a stronger mental ability than most of the main characters. This leads into some really dark themes and unexplored symbolism, but even without that, this is a spooky film. Then, if you just didn’t have enough of Michael just vaporizing in the windows of your house, Carpenter adds that chilling theme music. I still have that tapping of the piano keys in my mind, constantly wondering if Meyers is looking at me through the window. Carpenter has found the perfect combination of visual frights and chilling sounds to foreshadow what may happen to our unsuspecting victims next. It is lethal, and it is done with refreshing originality and more unique thrills than anything released by today’s Horror Hollywood could muster. Carpenter’s Halloween is a breath of fresh air in the midst of what could be a rough horror year, with actual scares being replaced by Paris Hilton, you know that the quality isn’t quite the same. Finally, I would like to say that even the simplistic nature of the opening murder in this film is terrifying and chilling. The use of the “clown” mask sent shivers up my spine. The way that it was filmed with that elongated one shot using the child’s mask as if it were our own eyes is still one of the best horror openings ever! It completely sets the tone for the remainder of that film. You have the babysitter theme, you have the childish behavior which carries with Michael throughout the film, and you have the art talent of Carpenter all rolled into one. I could literally speak for hours upon hours about this film, but instead I would rather go watch it again. It is worth the repeat visit many times! Overall, I think this is one of the most outstanding films in cinematic history. Skip all those foreign films that think that they are going to chance the face of movies leave it to a budget tight Carpenter and the slasher film genre. This singular movie redefined a whole generation of horror films, and still continues to be an influence on modern-day horror treats. The lethal combination of a genuinely spooky murderer, the powerful cinematography of the events (which normally doesn’t amount to much in horror films), and the beauty of Jamie Lee Curtis is exactly what makes Halloween that film above the rest. Sure, Freddy is cool and you feel sympathetic for Jason, but Michael is real, he is troubled, and he is on the loose lusting for the blood of babysitters. What can be better?